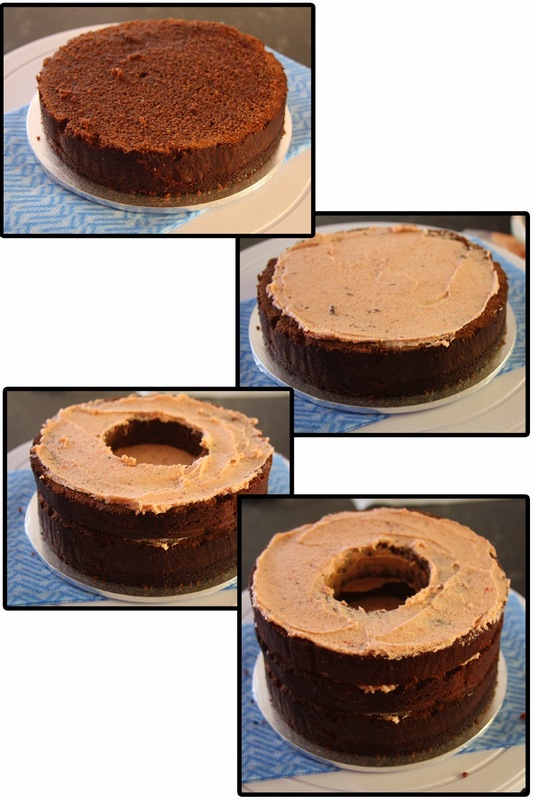 Stella+Olive: [CAKE] DIY One Direction chocolate mud cake with ganache and raspberry buttercream . . .and hidden insides! [CAKE] DIY One Direction chocolate mud cake with ganache and raspberry buttercream . . .and hidden insides! 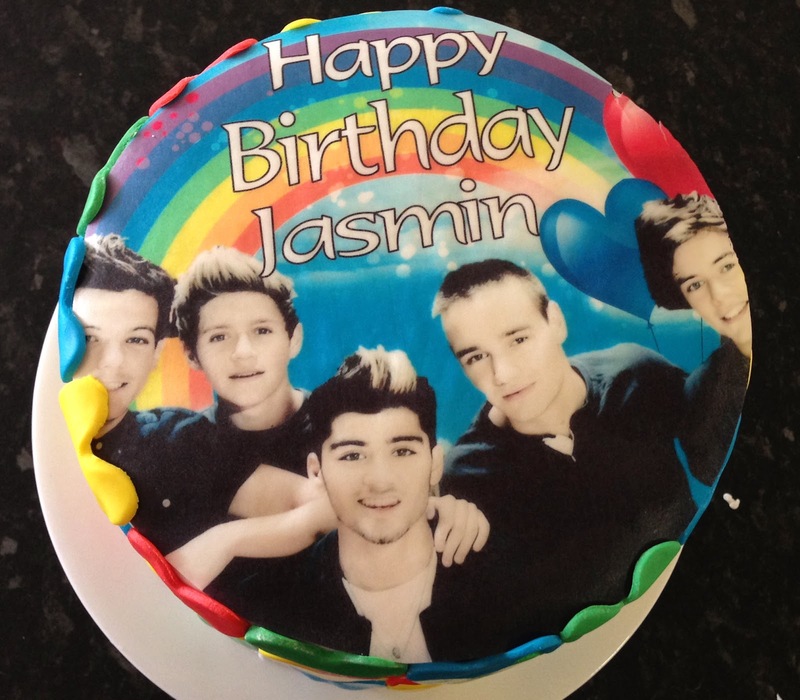 So, I don't get the whole One Direction thing, but I guess that I am also not in their main demographic! 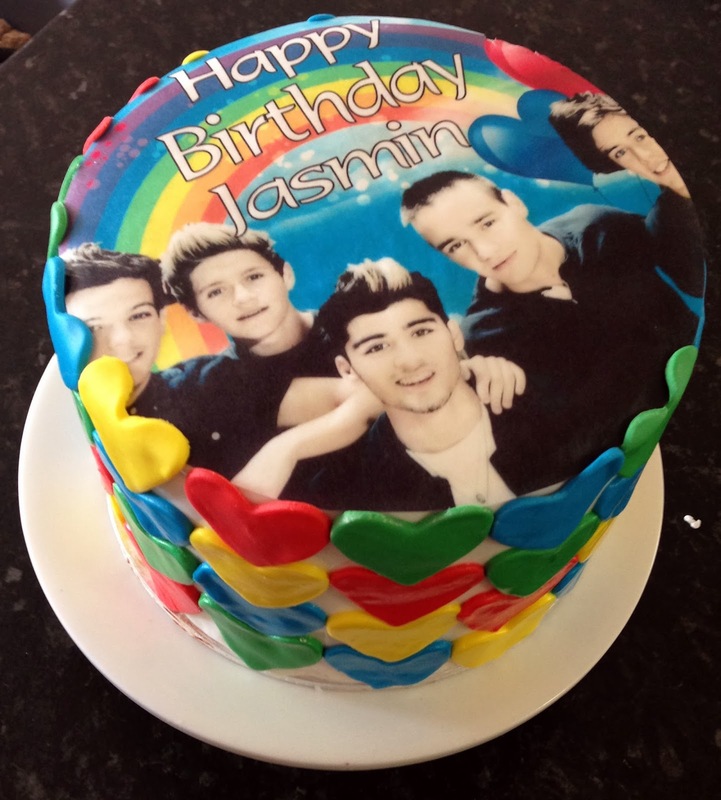 A friends daughter is a fan though so I made a sacrifice and made a One Direction cake for her birthday. 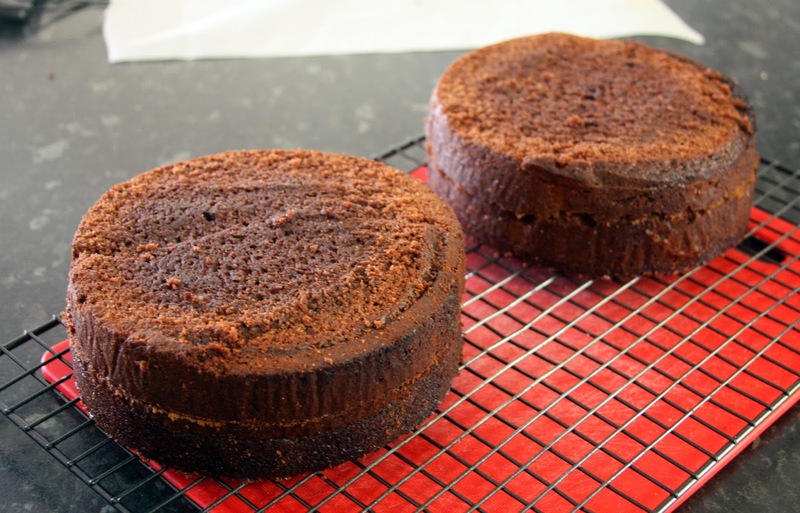 The process is fairly simple and can be easily adapted to specific icings or cakes that you prefer. 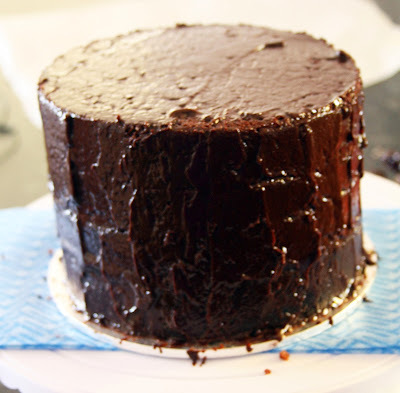 The birthday girl likes mud cake so I used this tried and tested Exclusively Food recipe to make both the mud cake and ganache. 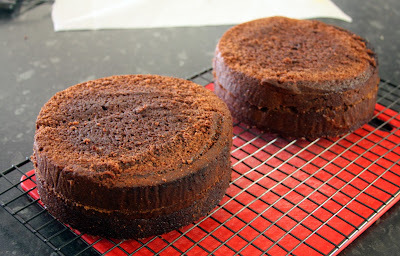 I made two 16cm cakes and one amount of ganache. 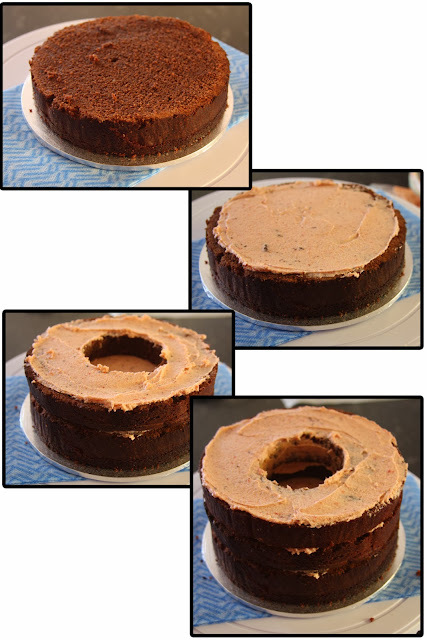 The raspberry butter cream was left over from a previous recipe. You could easily just use some jam and ganache to layer the cake. 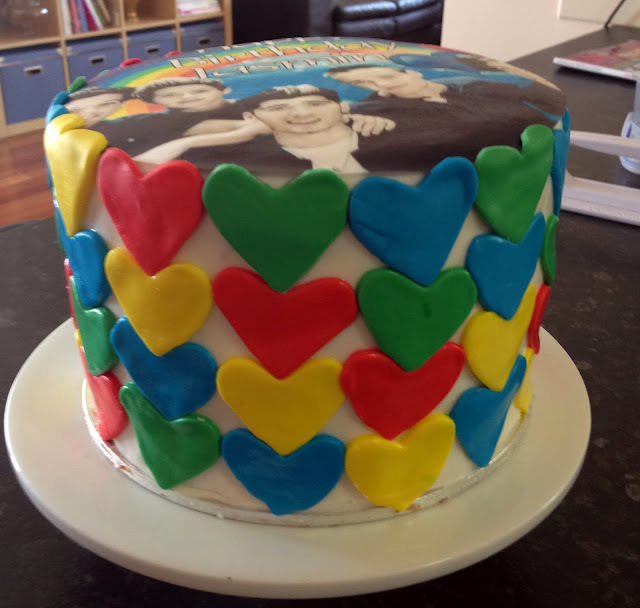 The edible image was purchased from eBay. 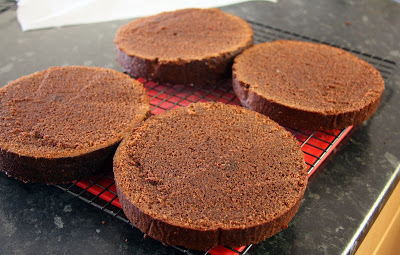 Once the cakes were made and cooled, I split them in two so that there were four cakes in total. The two pieces that were going to be in the middle I placed on a chopping board for the innards to be removed (you can easily skip this part as well, unnecessary but totally fun. 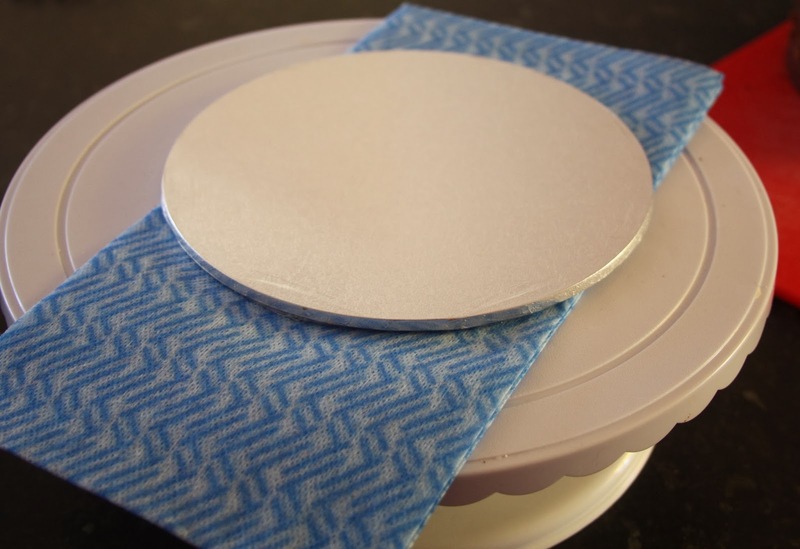 Get the board ready that you are going to layer the cakes on. It's a good idea to place a clean cloth underneath the board to stop it moving. 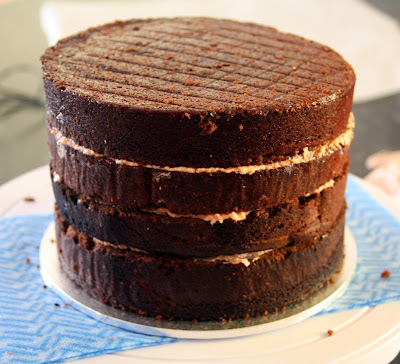 Place some icing on the board and stick bottom layer down. Cover with icing (leaving a small rim around the edges free from icing. Complete with layers until you only have the top layer left. Place Maltesers (or whatever tickles your pickle) in the void. I reckon M&M's would be awesome. 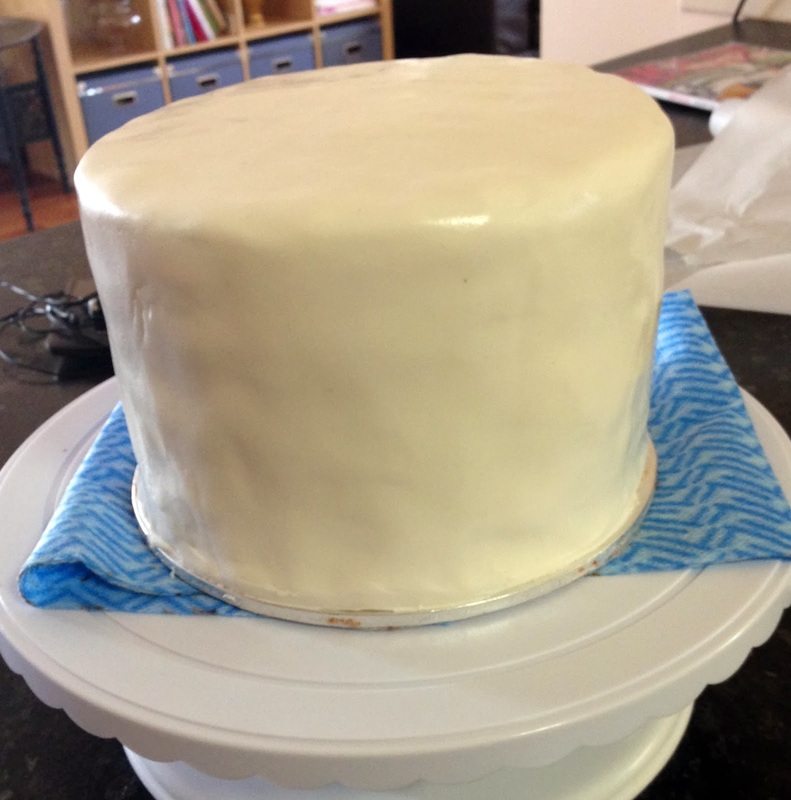 Add icing to top of third layer and top with last layer. 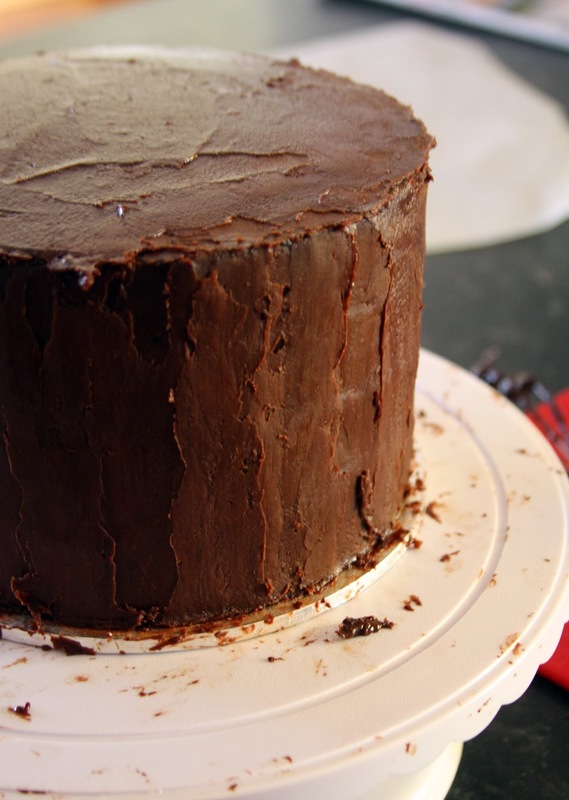 Do a messy layer of ganache all over. It was stinking hot and humid so the cake took on a lovely melty appearance. 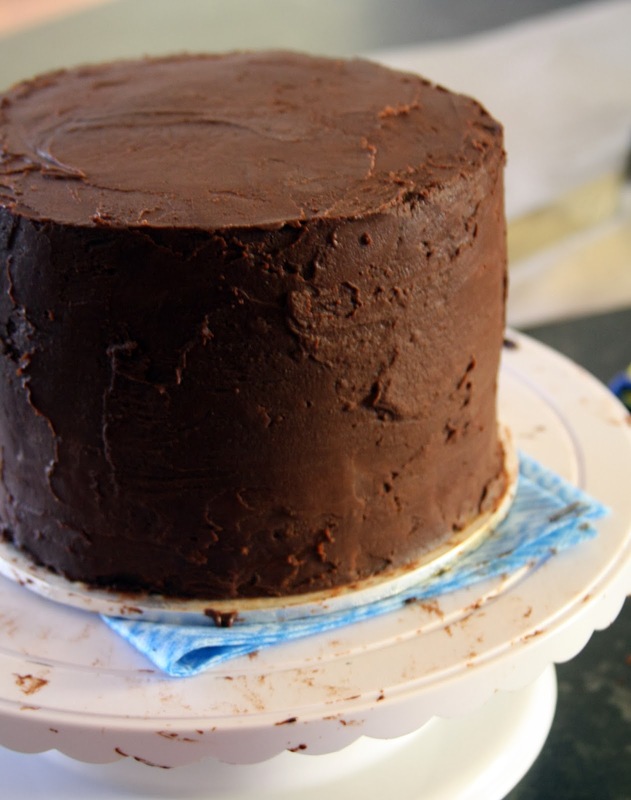 Never fear, chuck it in the fridge to firm up and then take out and place on another layer of ganache. The ganache can be thicker than what you want as the next step is to smooth out all the mess. 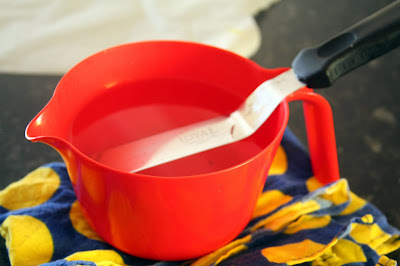 Smoother = spatula'd casually until I got bored. 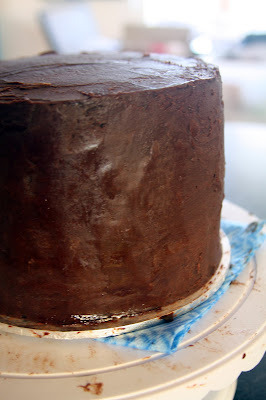 Set this in the fridge for at least an hour before covering with fondant. 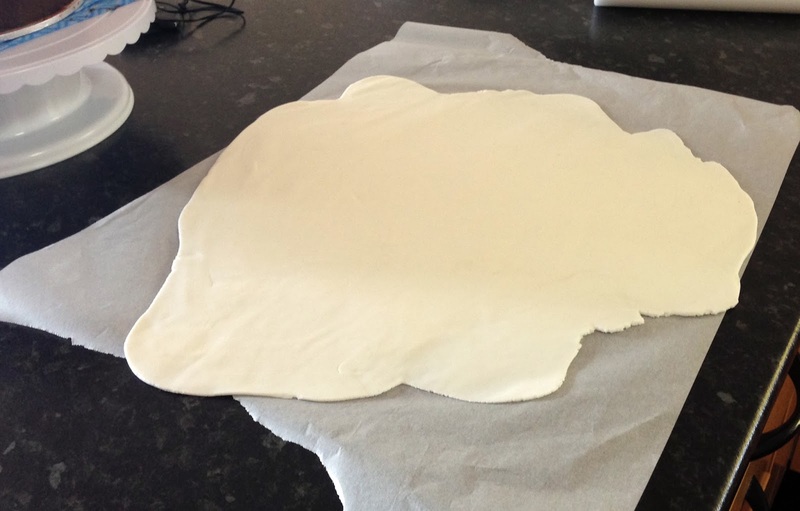 Roll out fondant big enough that it will cover cake. 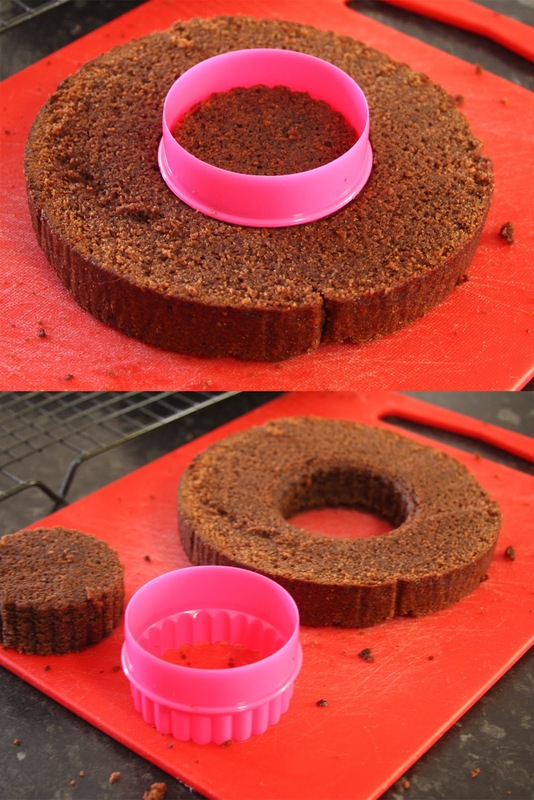 Smooth over cake. I wasn't too fussed about it being super smooth as it would be covered with hearts and humidity was at 75% so it would be a losing battle anyway! 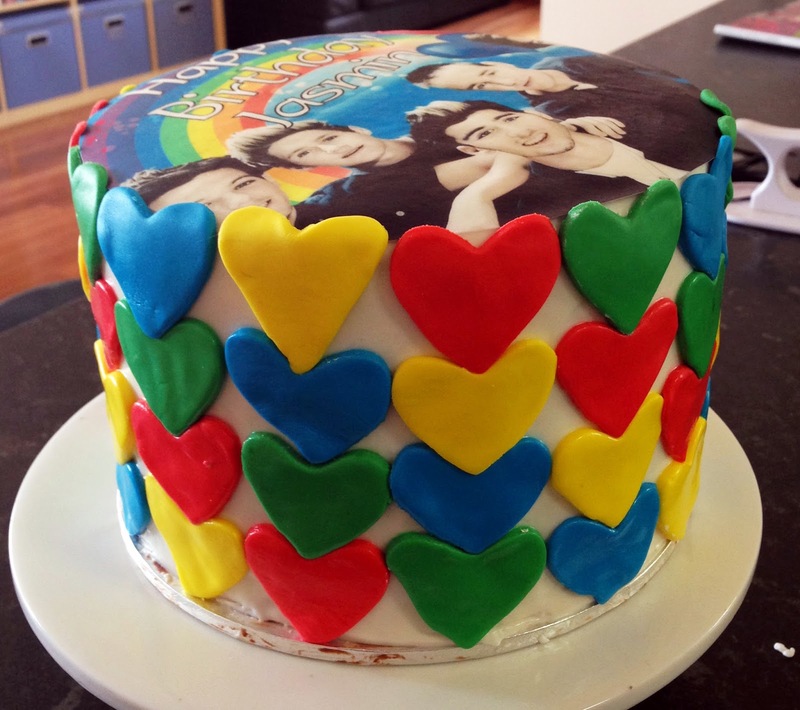 Cut out hearts in whatever colours take your fancy and spiral around the cake. As it is so humid, the hearts slid down a little and became a tad squashed / misshapen. I then placed the edible image on top. Et voila. The birthday girl was happy so I call that a success! I might lay off fondant though in January as this humidity is crazzzzyyyy!